The other day dedicated to this delicious dough creation is the first Friday in June. One theory suggests Dutch settlers brought doughnuts to North America along with other traditional American desserts including cookies, apple pie, cream pie and cobbler. 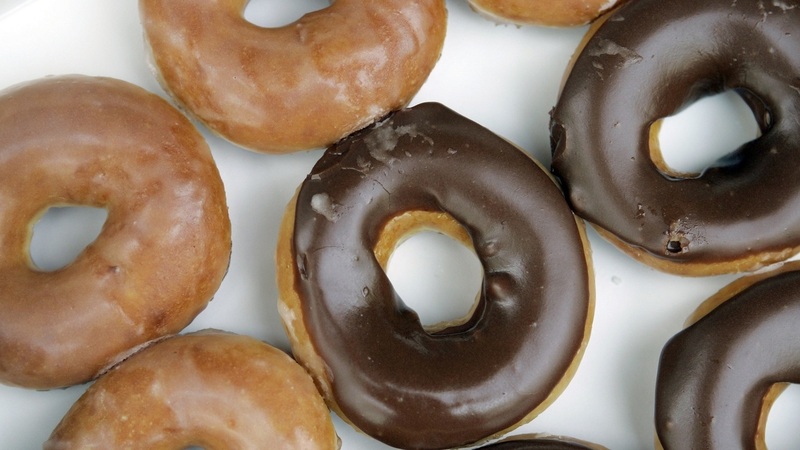 The first recording of the word "doughnut" is in Washington Irving’s reference in 1809 in his History of New York. He described balls of sweetened dough, fried in hog’s fat and called doughnuts. Today, these nuts of fried dough are called doughnut holes. However, both doughnut and donut are commonly found in American English.